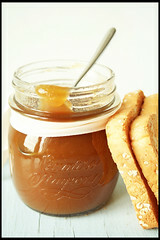 Apple Butter Made Easy – Plus a great gift idea! While growing up, I remember friends of ours planning the annual apple butter making day. It was a huge chore & a very long process! Peel the apples – core the apples – slice the apples – start a huge fire in a pit – cook the apples in a heavy cast iron kettle – stoke the fire – stoke the fire – did I say stoke the fire? This went on for literally hours! Then came the process of canning the apple butter! Hopefully I can encourage you to try your hand at this flavorful spread, when you see how easy you can make it in your own kitchen. Wash apples & cook whole in a large pot with water. 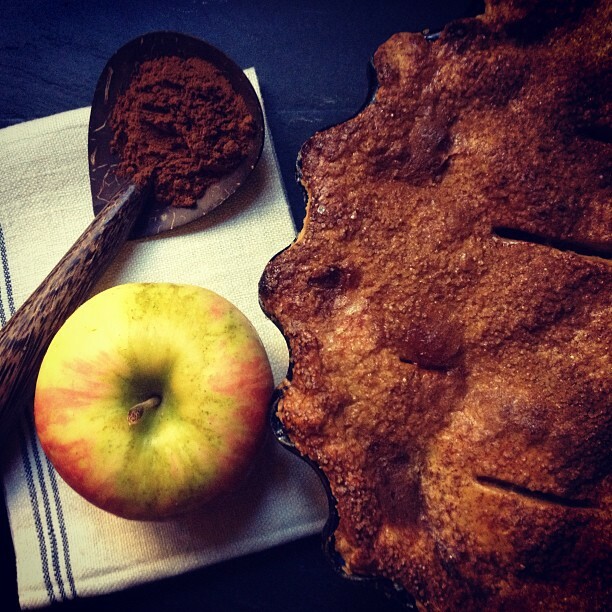 When very tender, push through a sieve – now you have apple sauce! No peeling, slicing, or coring needed! Put all into a crock pot & cook on high for approx. 7 hours. Make sure the steam can escape when it starts boiling. You can store in the fridge or freeze for later use. Canning would also be a good option. Fill jelly jars with hot sauce & process in a boiling water bath. * Here’s a great gift idea – a gift basket with a breakfast theme. Include things like; apple butter, homemade bread, pretty bowl, coffee cup, coffee (make some of those different coffee mixes), tea, and homemade granola cereal. Wrap it up with tea towels and cloth napkins. You could call it – breakfast in bed. 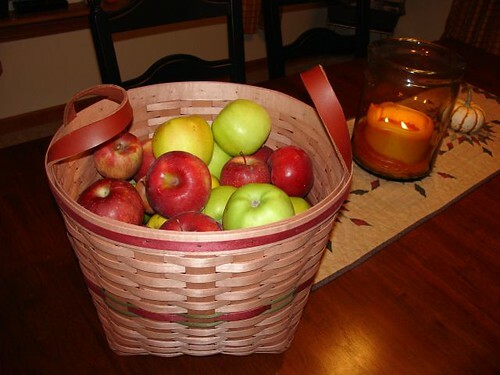 Caramel Apples & Candy Apples – October at it’s best! 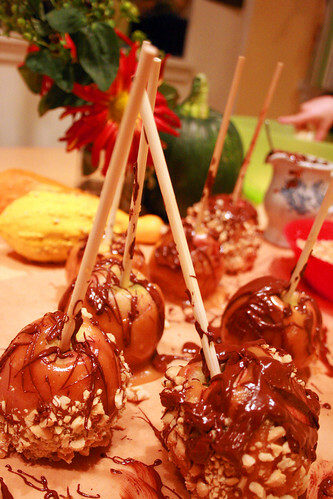 Is there anything more delicious at an Oct. party than candy & caramel apples?! These tasty treats hold a special place in my childhood memory! Like cotton candy at a circus, candy apples hold the spotlight at any harvest party. You’ll be so surprised at how easy these wonderful treats are to make! Get the whole family involved – they’ll never forget it! 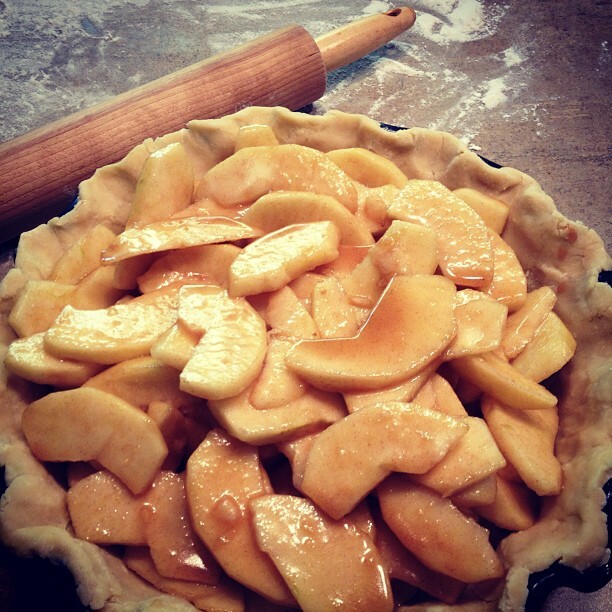 Line a few cookie trays with wax paper to set your apples on to cool. Choose your favorite apples – wash & dry. Melt a bag of caramels in the microwave – watch & stir. Insert popsicle sticks into the apples. Bring sugar – corn syrup & water to a boil. Stir often! Let boil without stirring until it reaches “soft crack” stage – 285o (takes approx. 15-20 min). Use a wooden spoon to stir in red coloring & cinnamon. Dip & allow to dry. Coating will harden as it cools! 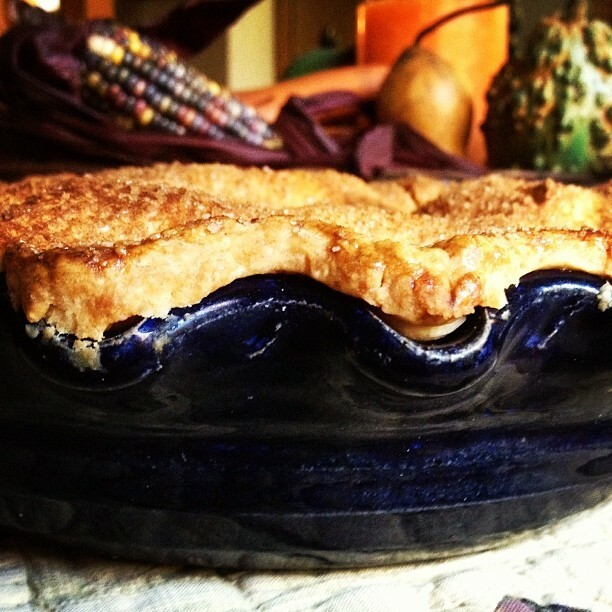 Here are just a few ideas to make these apples extra special. Enjoy this easy caramel apple recipe & make some memories for you and your family!